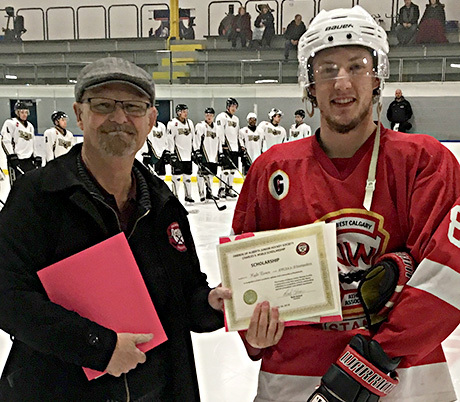 Glenn Ball of the Friends of Alberta Junior Hockey Society presents Ryan Piche of the Bonnyville Pontiacs with his Charles S. Noble scholarship. Congratulations Ryan!!!. 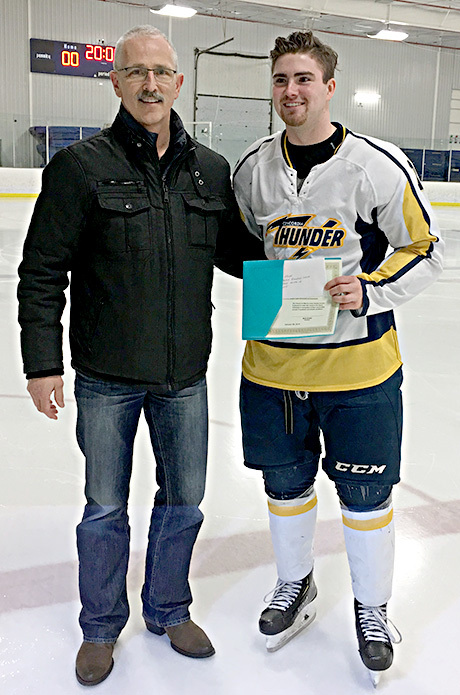 Brendan Bennett-Chevarie recipient of a Friends of Alberta Junior Hockey Society Scholarship. 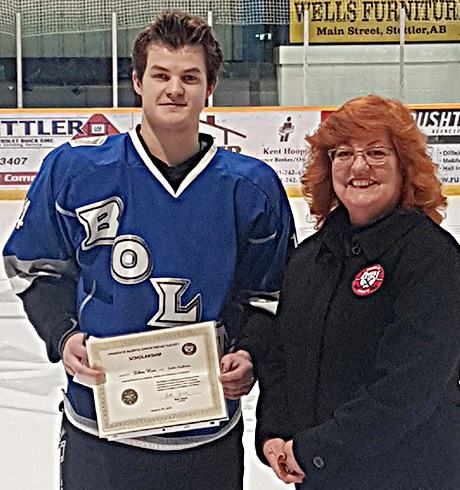 Tye Mulgrove of the Stettler Lightning receives a Friends of Alberta Junior Hockey Society scholarship from Donna Williams of the Friends Society. 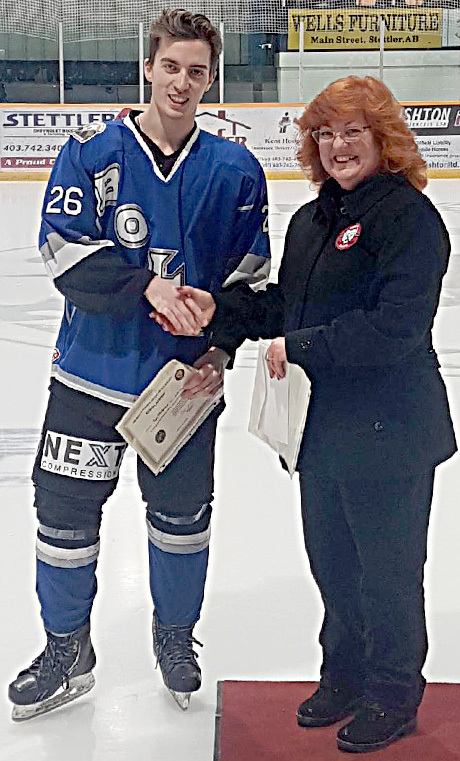 Ethan Rost of the Stettler Lightning receivies a Friends of Alberta Junior Hockey Society scholarship from Donna Williams of the Friends Society. 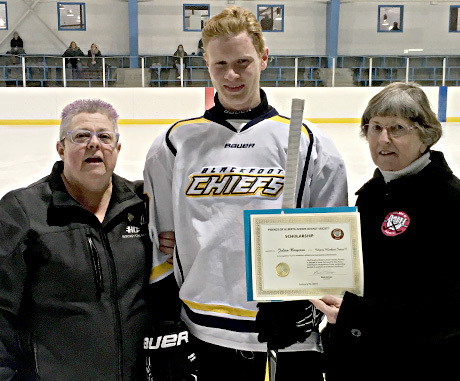 Edmonton Avalanche player Jack Holan receives a Friends of Alberta Junior Hockey Society scholarship!!! 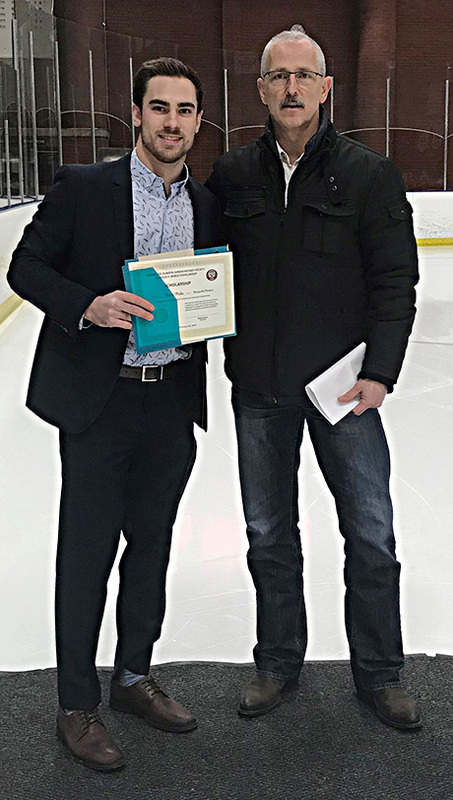 Jack Holan of the Edmonton Avalanche receives a Friends of Alberta Junior Hockey Society scholarship from Glenn Ball of the Friends of Alberta Junior Hockey Society. 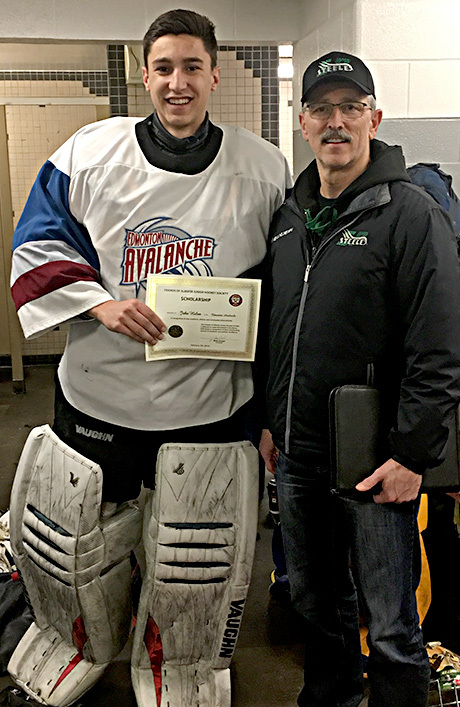 Bradley Bujold of the Edmonton Mavericks wins a Friends of Alberta Junior Hockey Society scholarship!!! 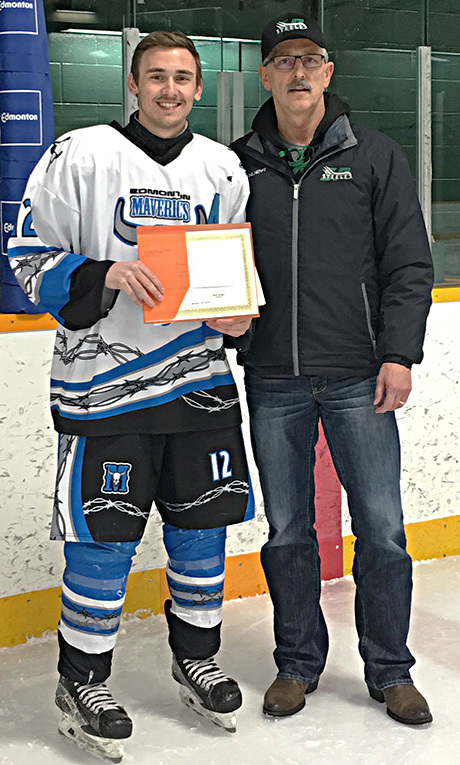 Bradley Bujold of the Edmonton Mavericks is presented a Friends of Alberta Junior Hockey Society scholarship. Presenting is Glenn Ball of the Friends. 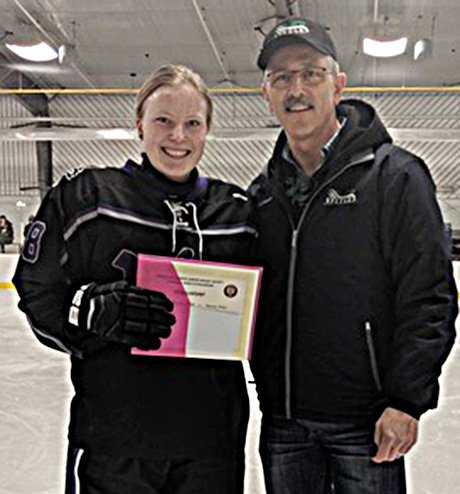 Devyn Reid of the Edmonton Wolves wins a Charles S. Noble Scholarship! Devyn Reid of the Edmonton Wolves receiving a Charles S. Noble scholarship with Glenn Ball of the Friends presenting. Julien Bergeron of the Calgary Blackfoot Jr. C wins a Friends of Alberta Junior Hockey Society Scholarship. Julien Bergeron of the Calgary Blackfoot Jr. C receiving a Friends of Alberta Junior Hockey Society Scholarship. Owen Ritchie accepts the Charles S. Noble Scholarship on behalf of Kyle Exner of the NWCAA Jr. B Stamps.